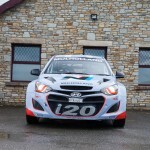 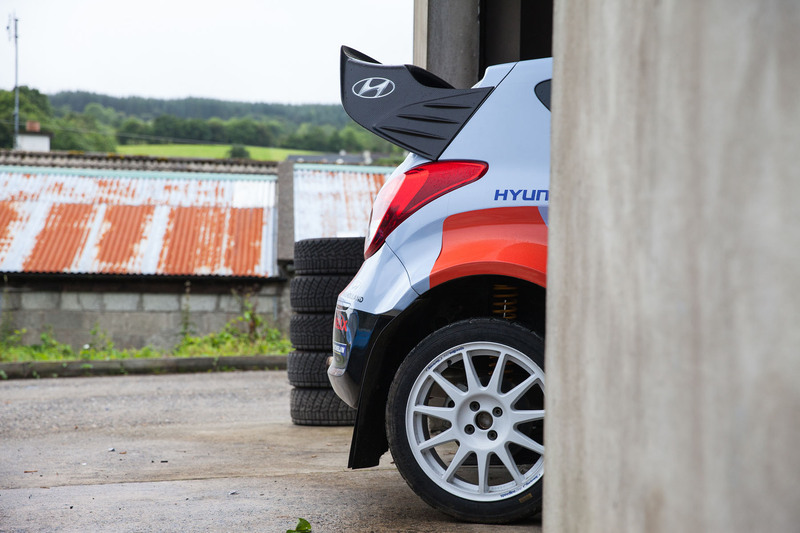 For those of you who missed out on Top Gear’s exploits, at the start of 2014, they partnered with Hyundai and came up with the bright idea of preparing a bog standard car for competition at the final round of the World Rally Championship. 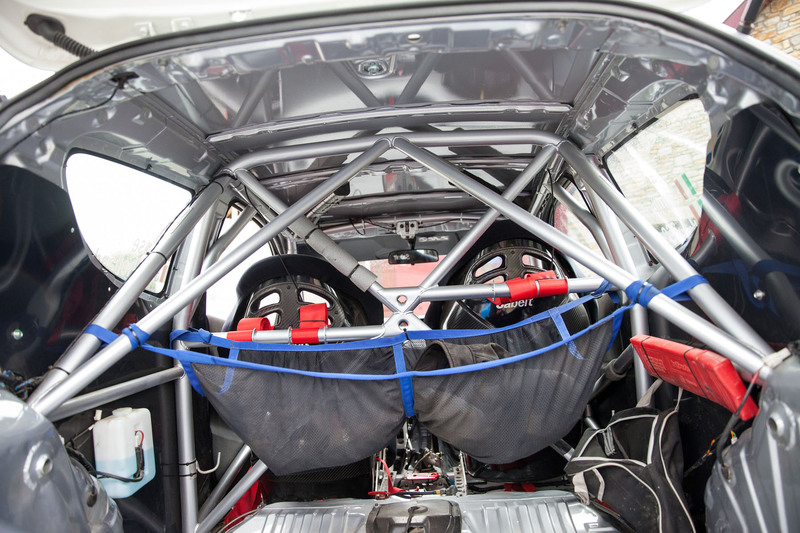 Sounds like fun to us! 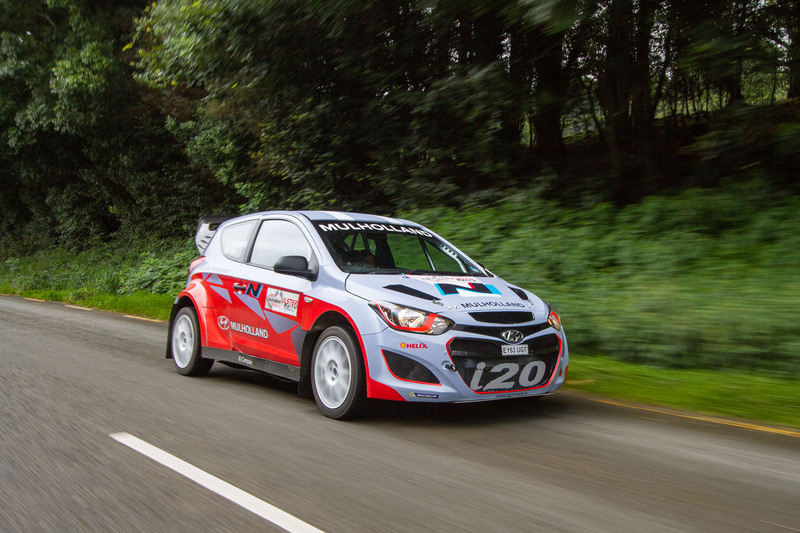 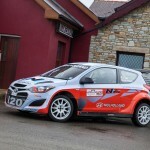 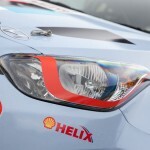 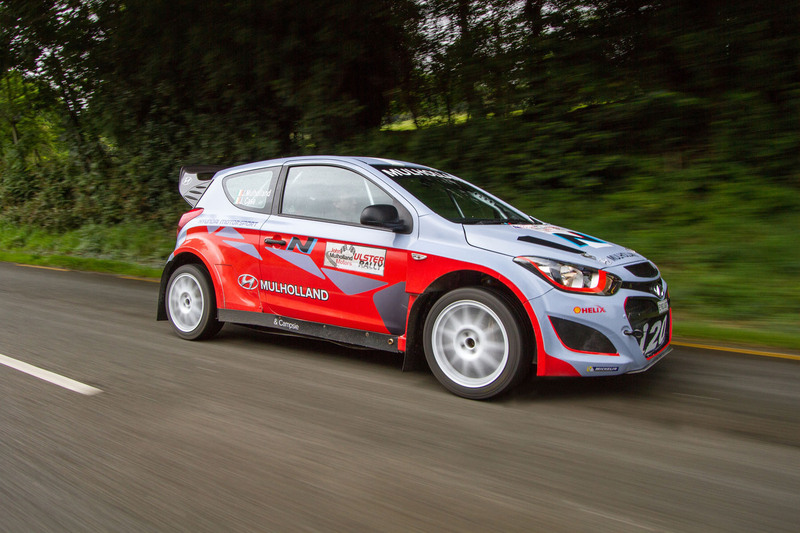 They took a brand new 1.2 Hyundai i20 road car and converted it into a fire-breathing monster of a rally car! 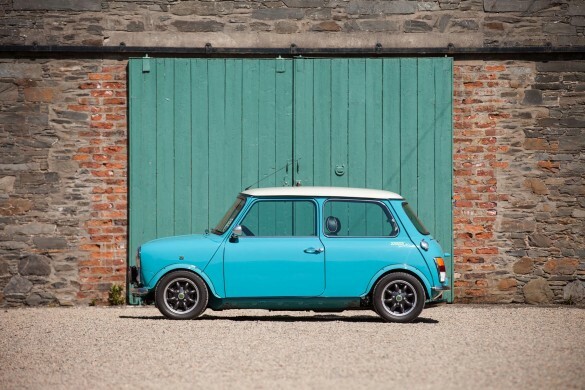 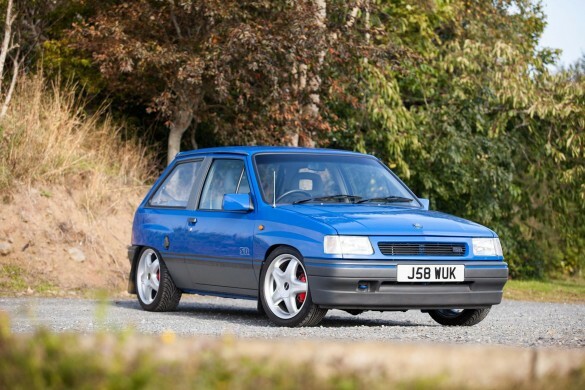 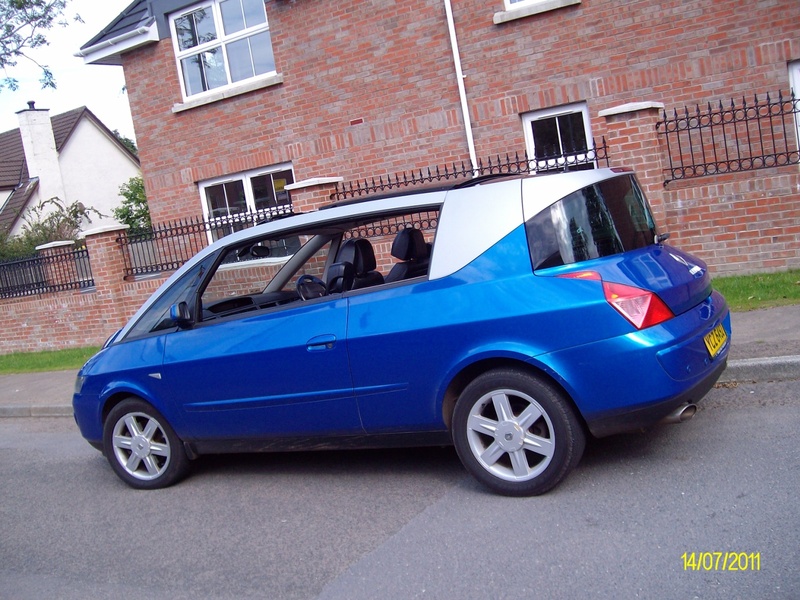 OK, maybe that’s a little bit of an overstatement for this pocket rocket…but they did make plenty of changes underneath the skin while maintaining reliability. 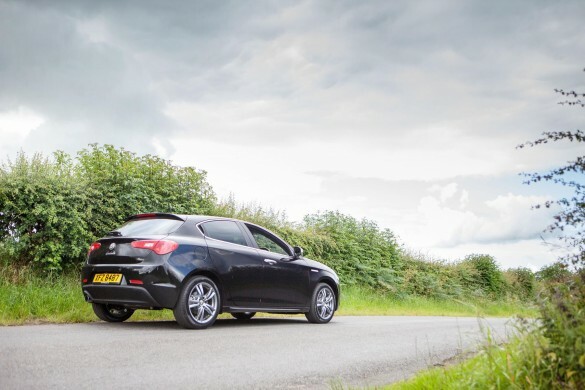 From the exterior, the car looks anything but standard. 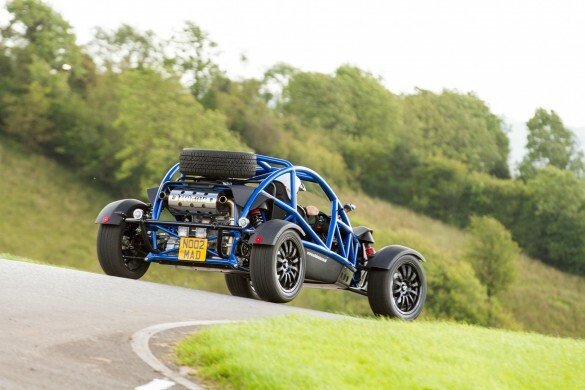 In fact, some say it is astonishing. 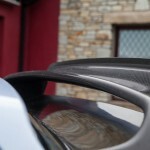 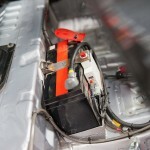 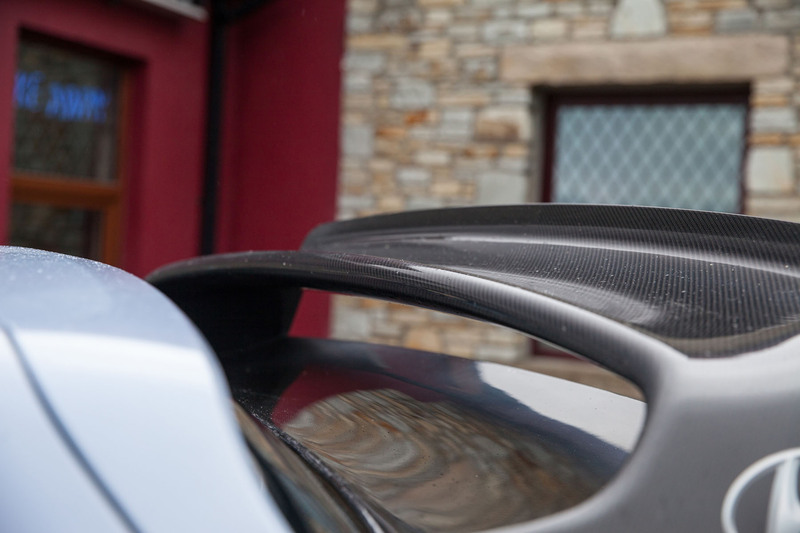 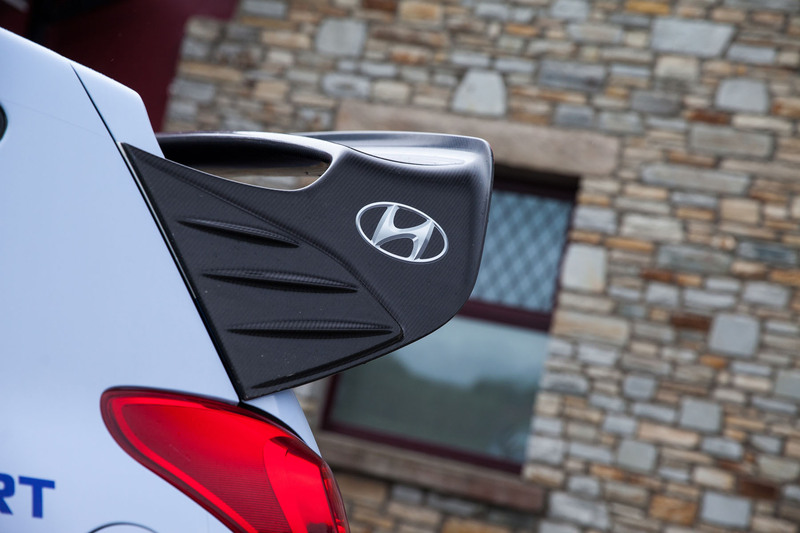 That’s because one of the first things that they managed to source was a set of fibreglass body panels from the Hyundai WRC team! 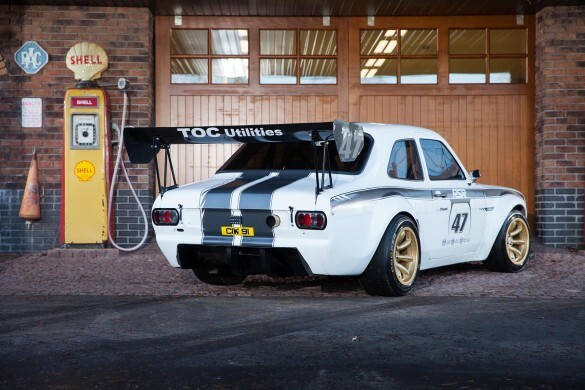 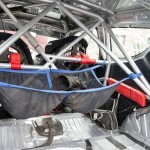 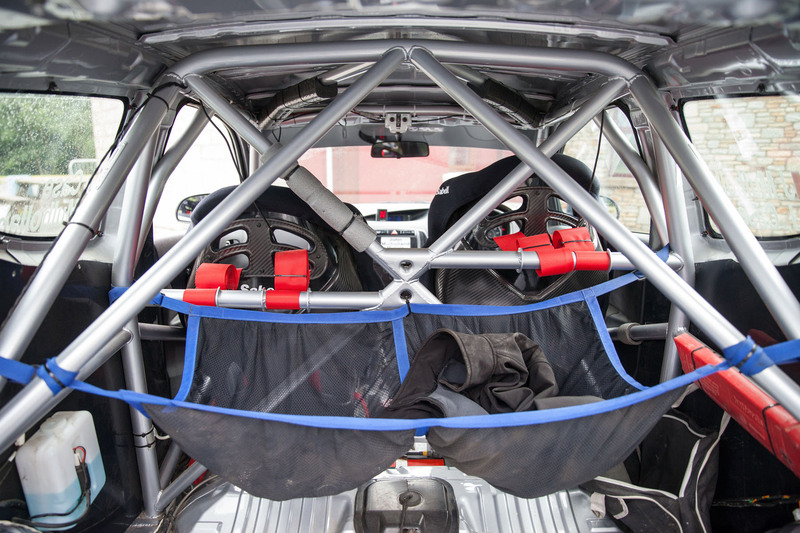 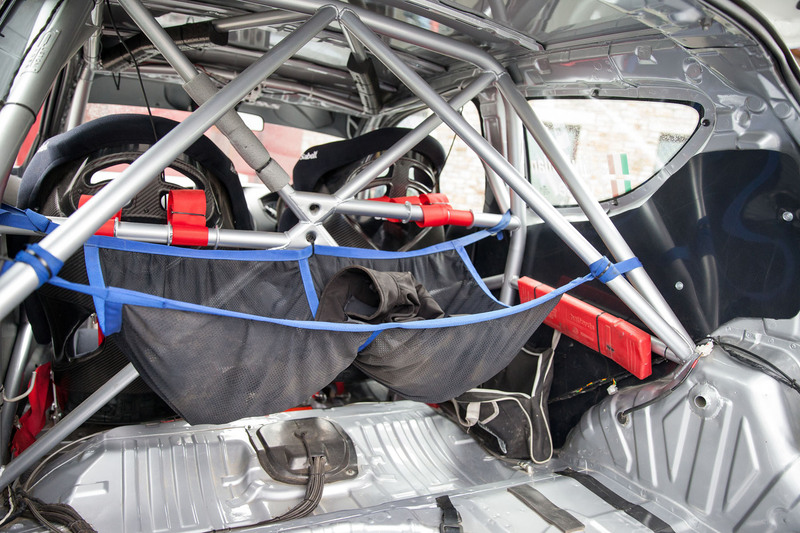 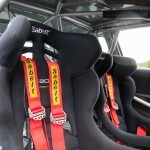 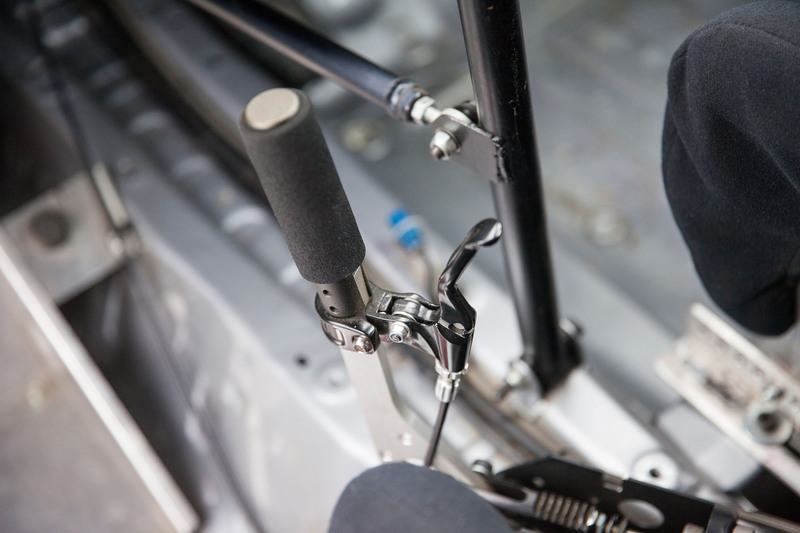 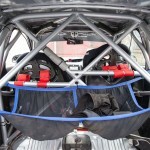 The road car was stripped back to the bare basics by 586 Motorsport before being fitted with a T45 Custom Cages roll cage. 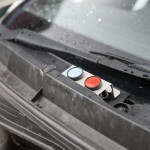 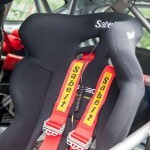 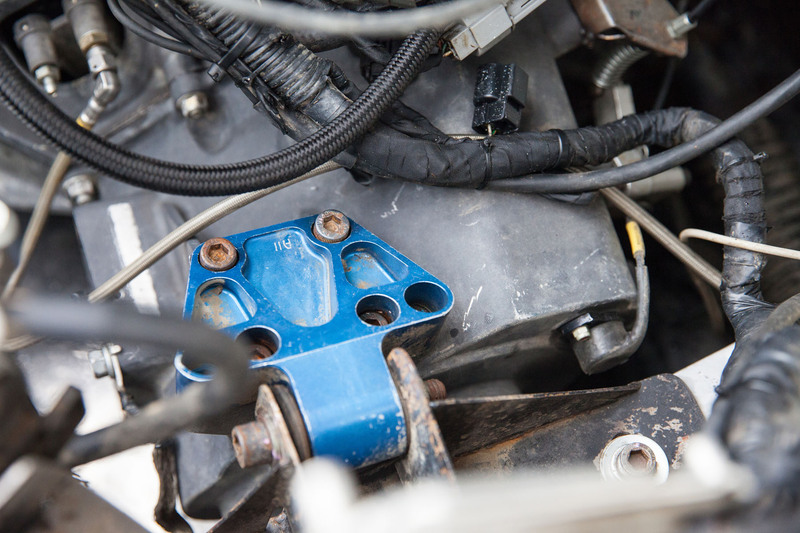 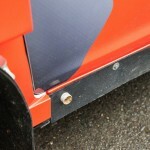 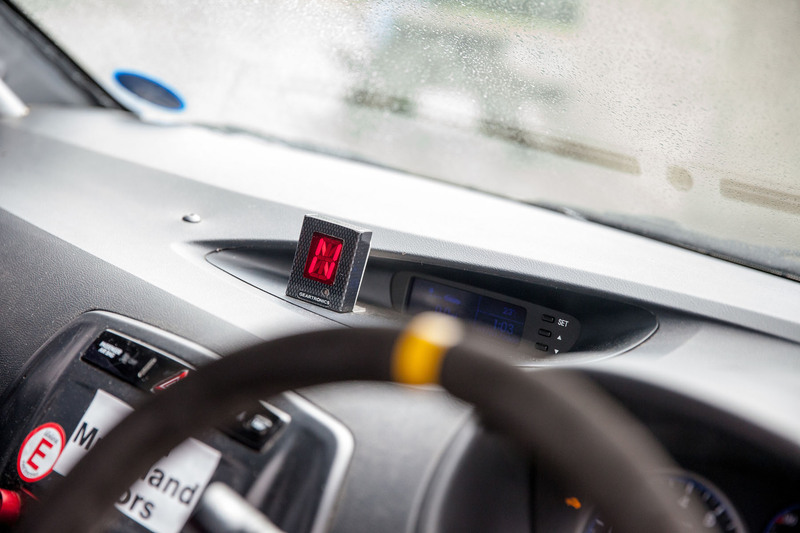 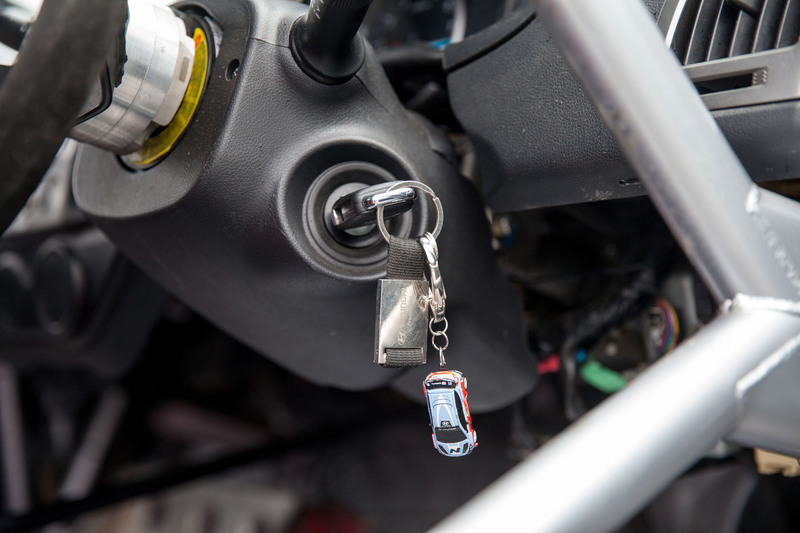 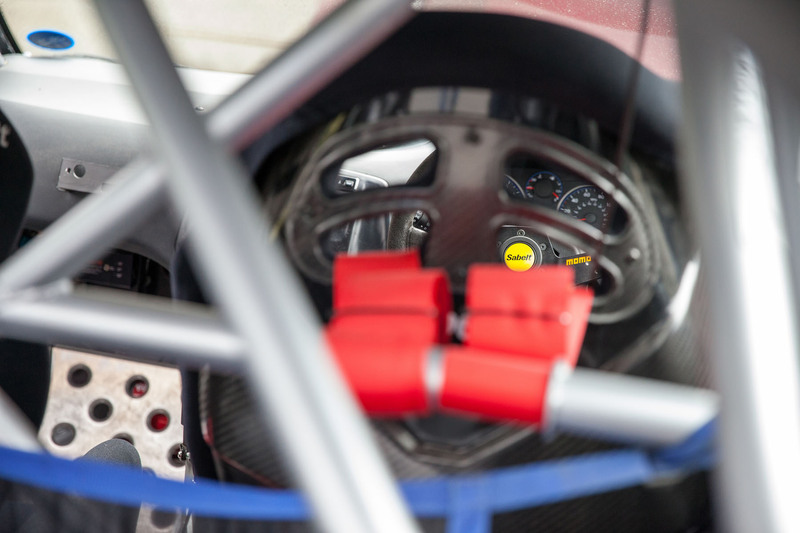 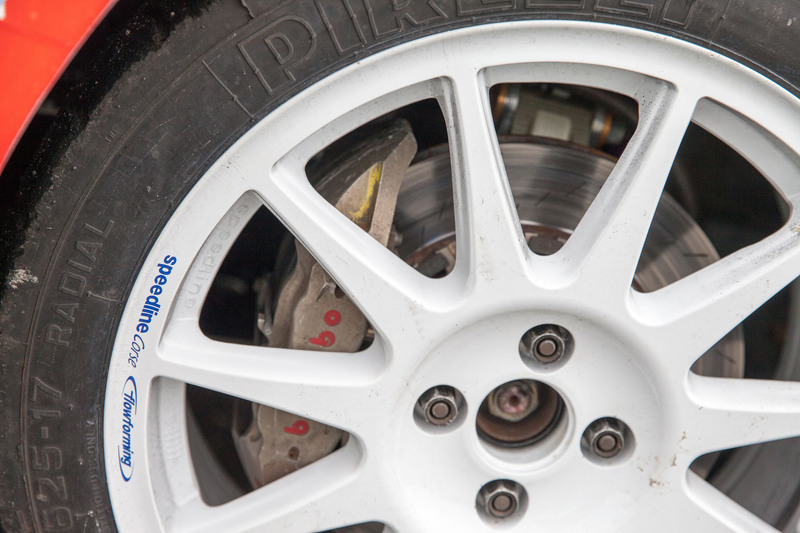 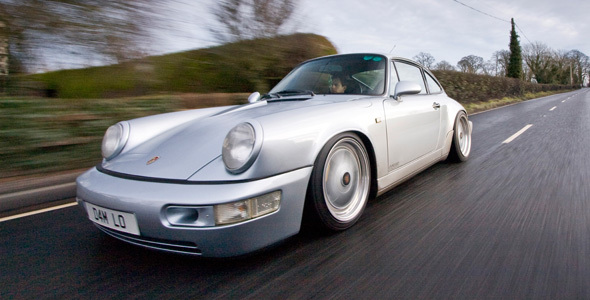 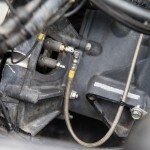 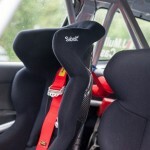 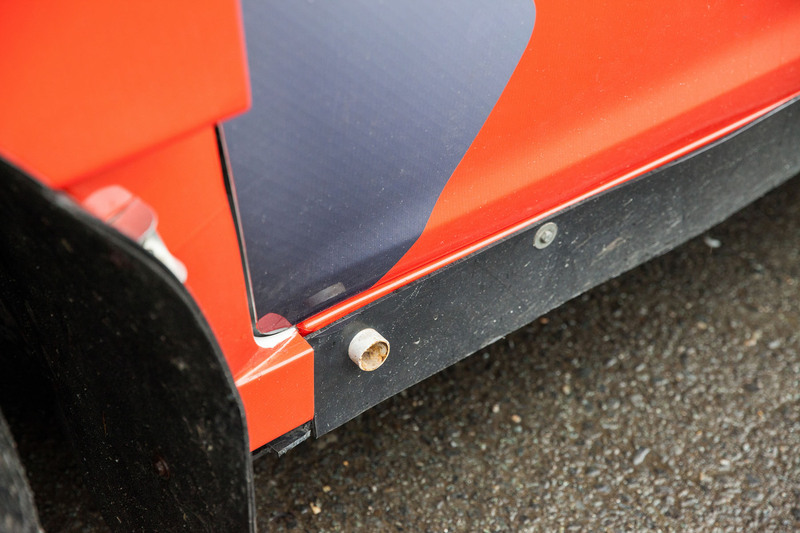 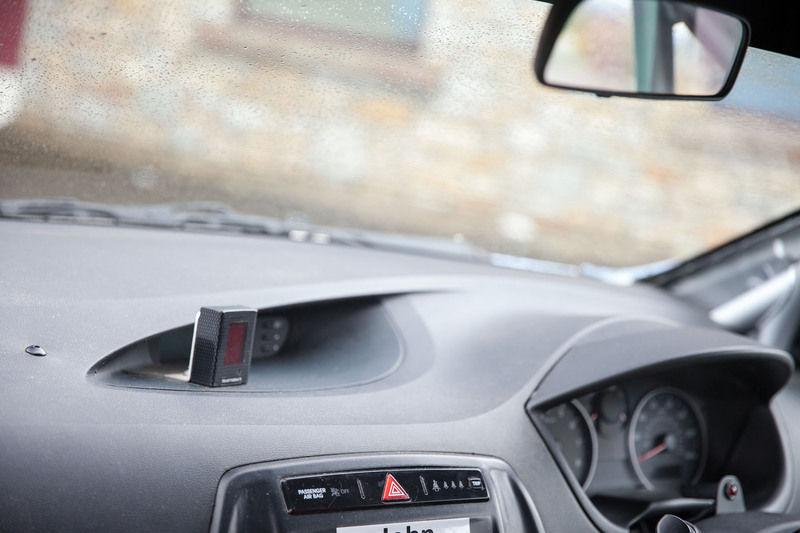 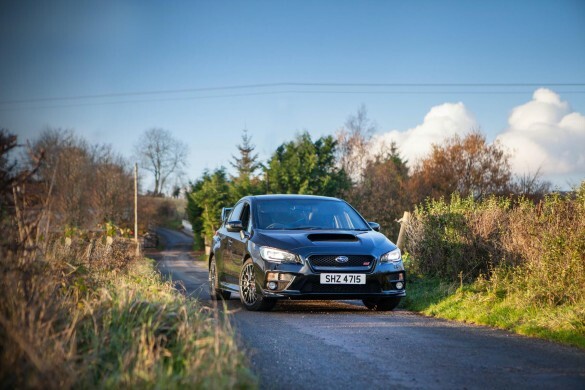 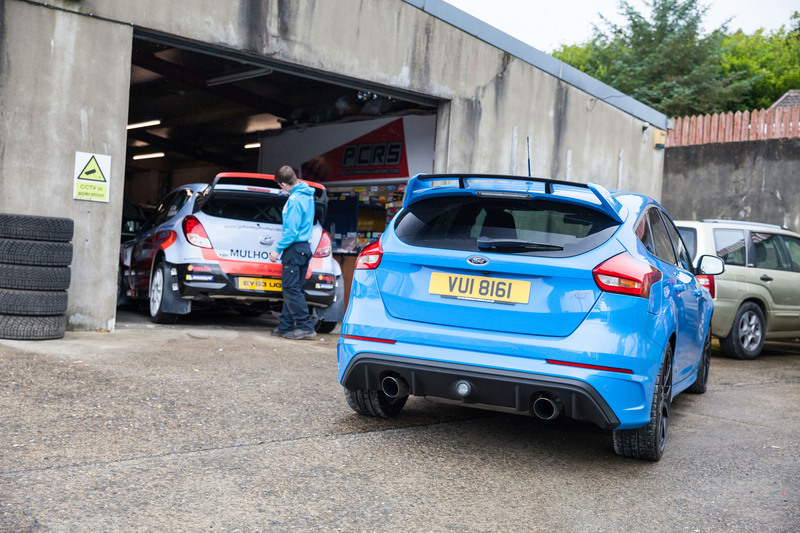 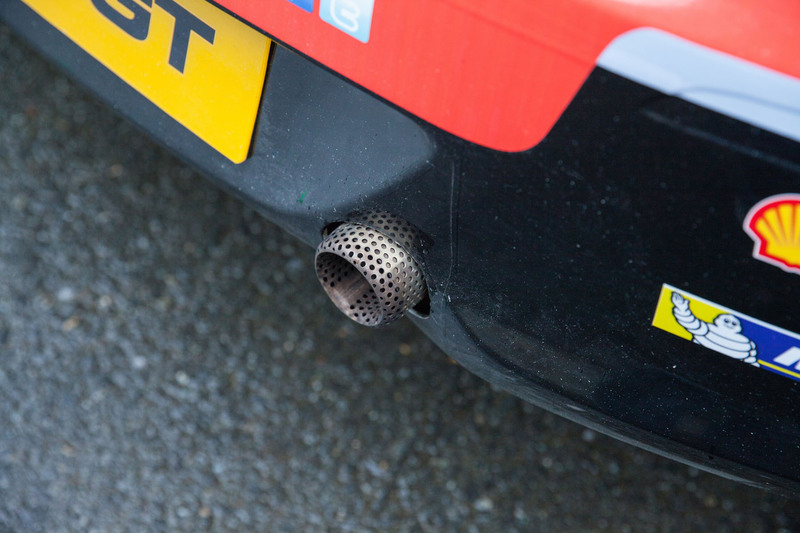 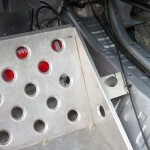 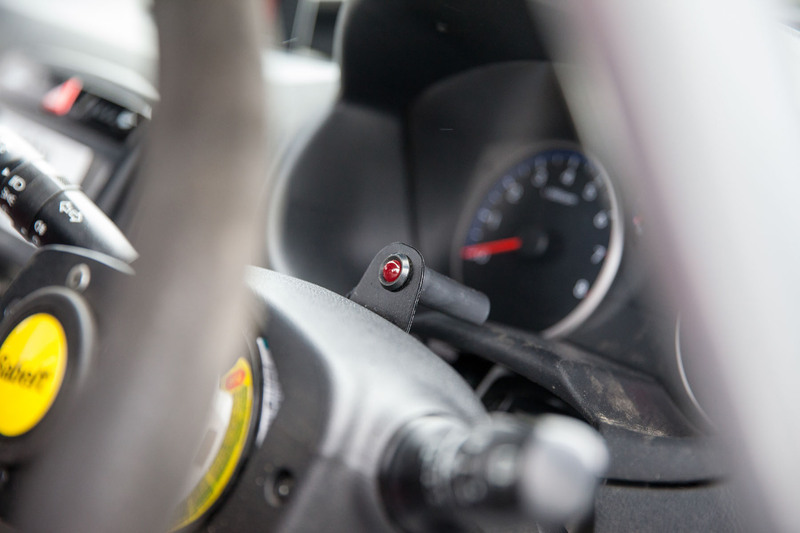 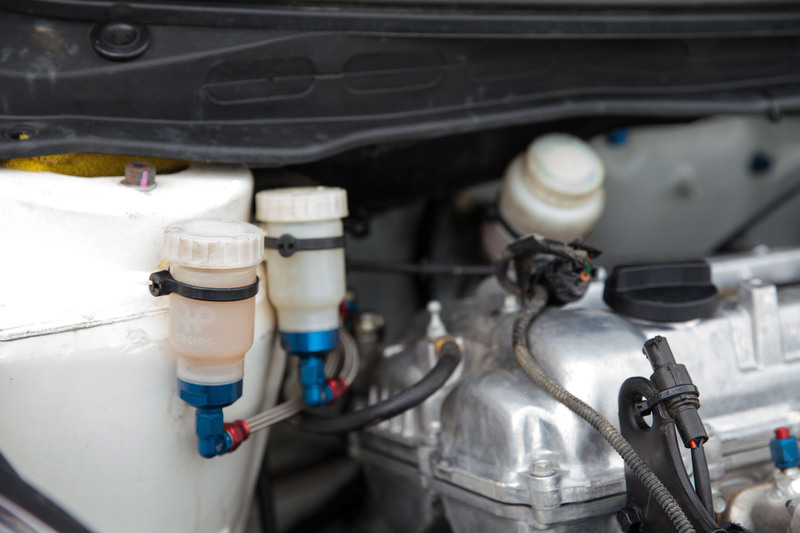 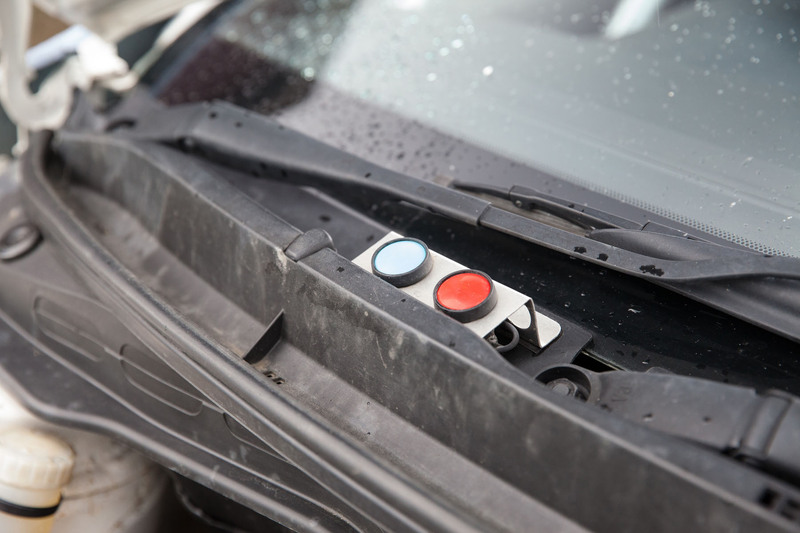 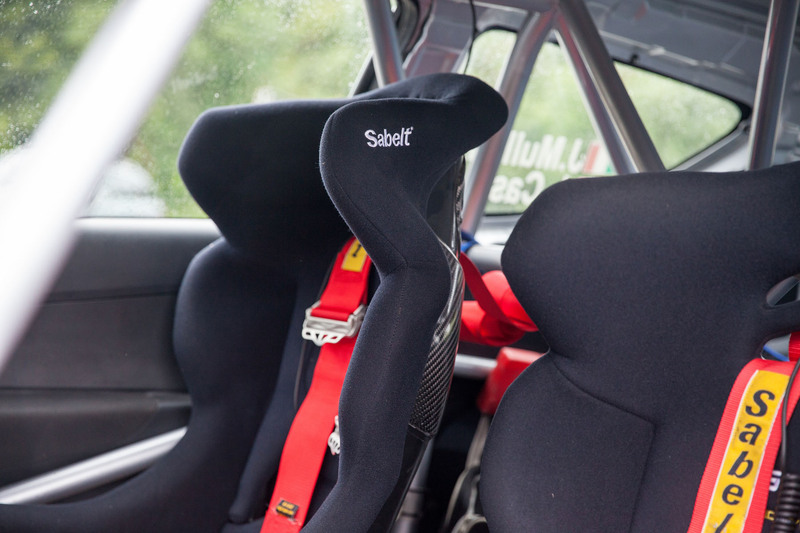 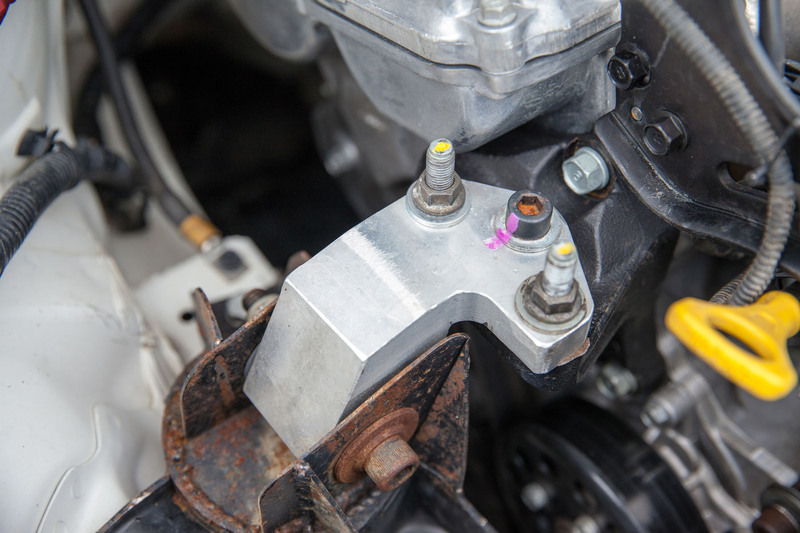 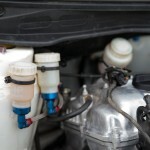 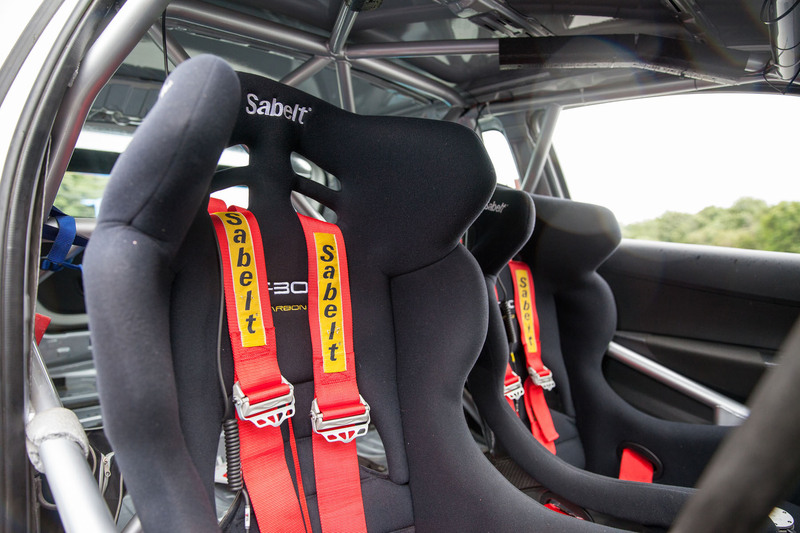 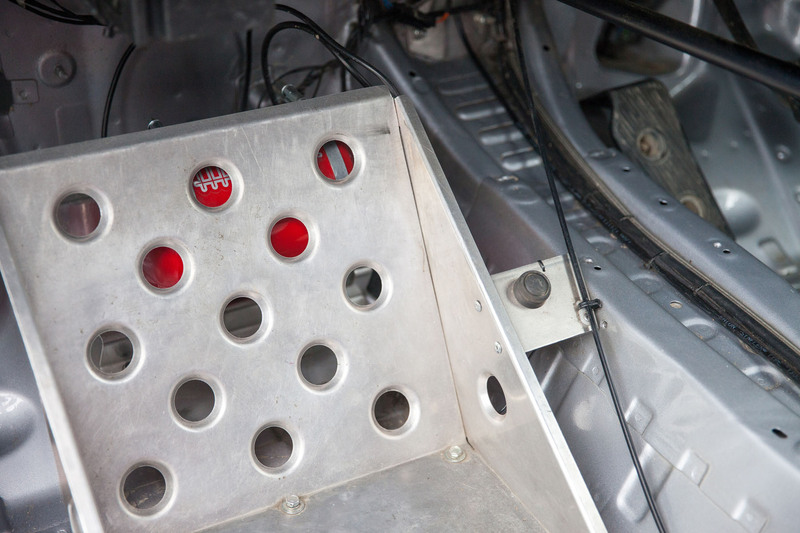 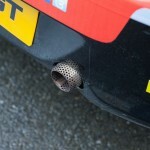 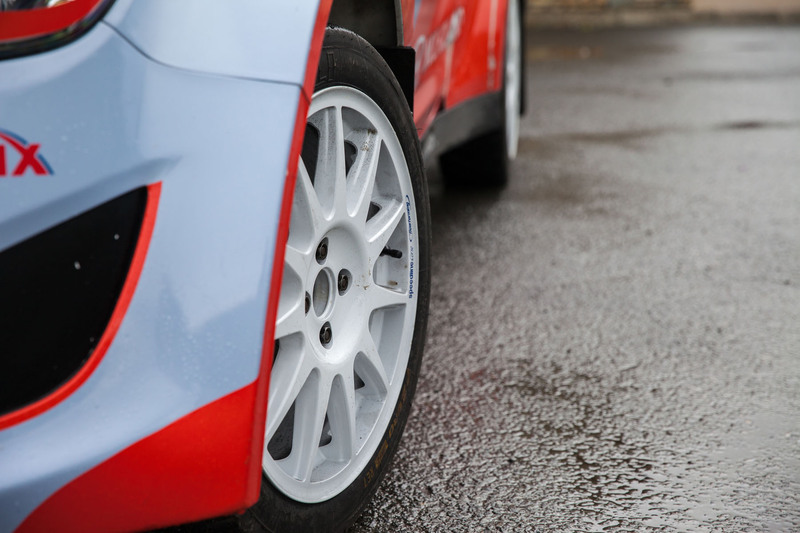 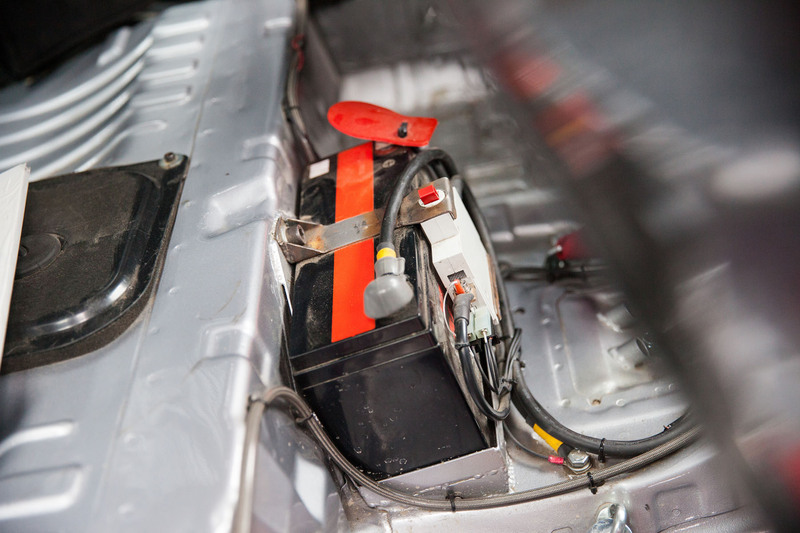 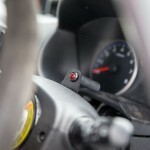 Then the upgrades were considered – standard road car parts would never cut the mustard at Wales Rally GB. 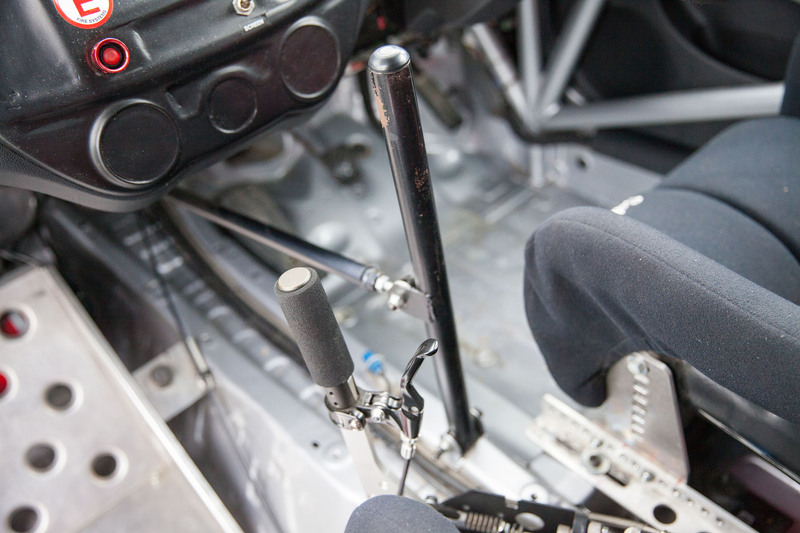 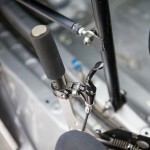 Reiger suspension was fitted to help cope with the ruts, bumps and jumps in Wales. 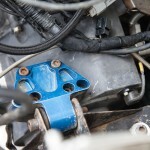 A heart transplant followed, although that didn’t go to plan at first. 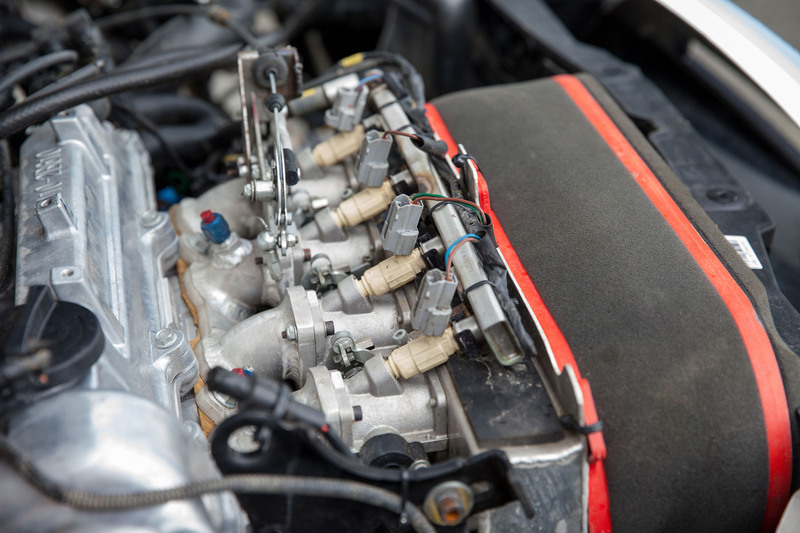 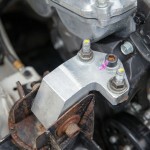 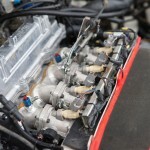 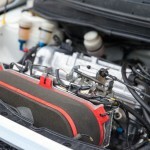 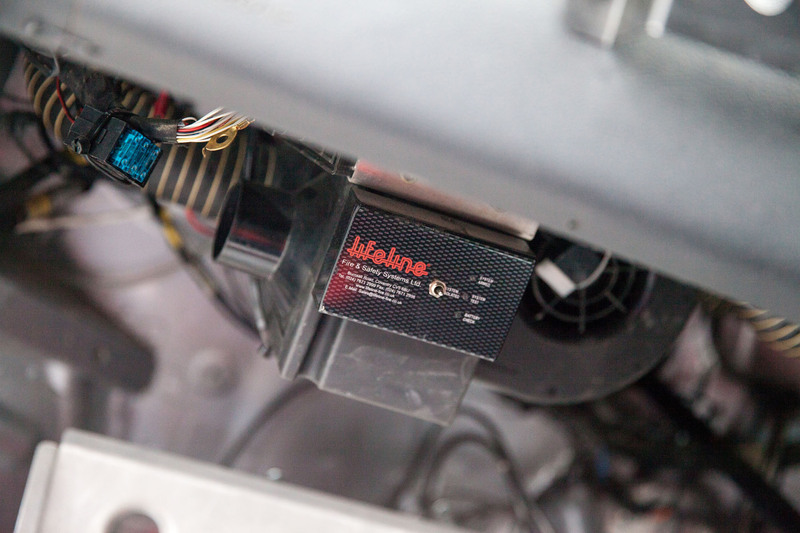 The 1.2 litre engine was swapped with a 1.6 litre but electronic gremlins intervened. 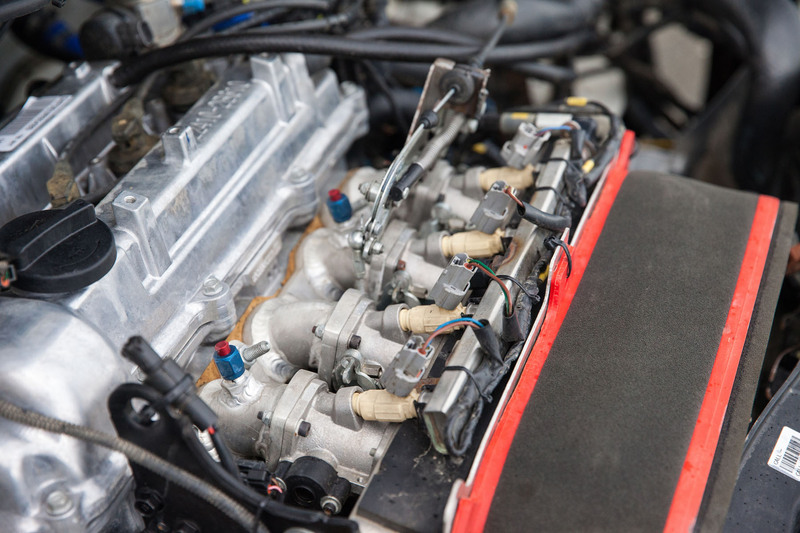 The original engine had to be kept in situ for the time being and it was mated to a six-speed Hewland sequential gearbox. 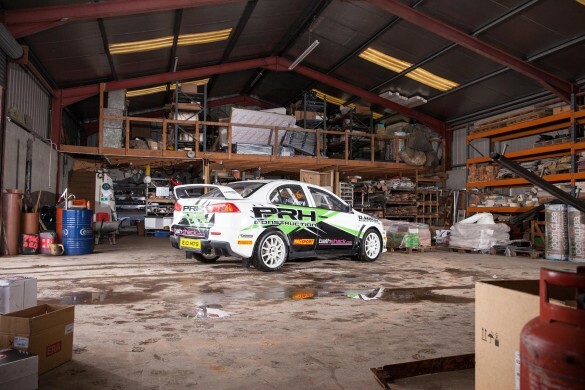 Once all the parts were put back together, including all of the necessary safety equipment for stage rallying, the car was log booked and was ready to go! 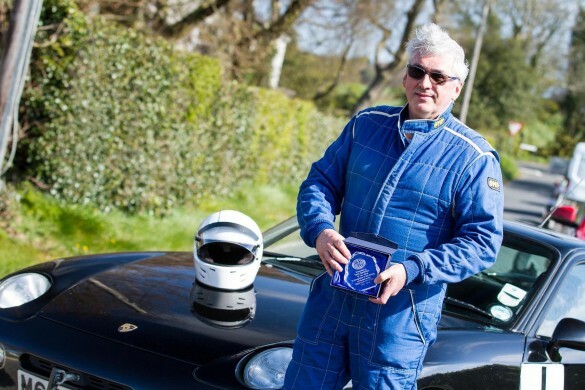 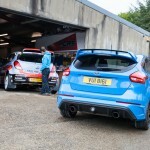 Next on the agenda was a test run around the rally stage at the Goodwood Festival of Speed. 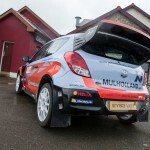 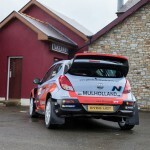 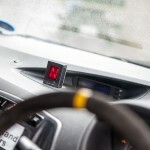 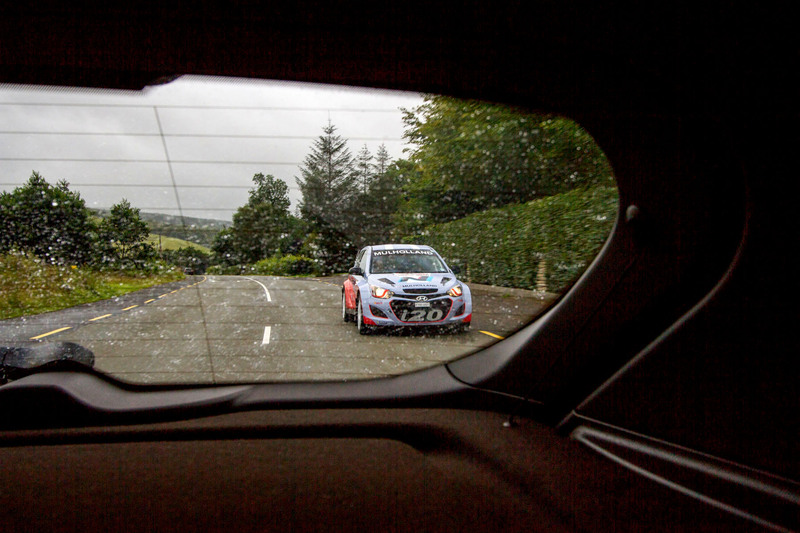 Thierry Neuville provided some useful driving tips and even jumped into the navigator’s seat. 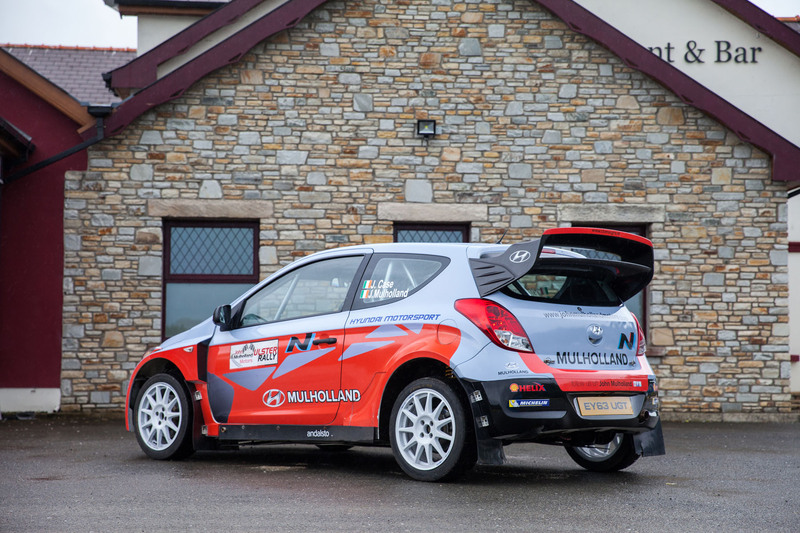 Then the car headed off to its first competitive event at the Woodpecker Stages with Top Gear’s Ollie Marriage and Jack Morton. 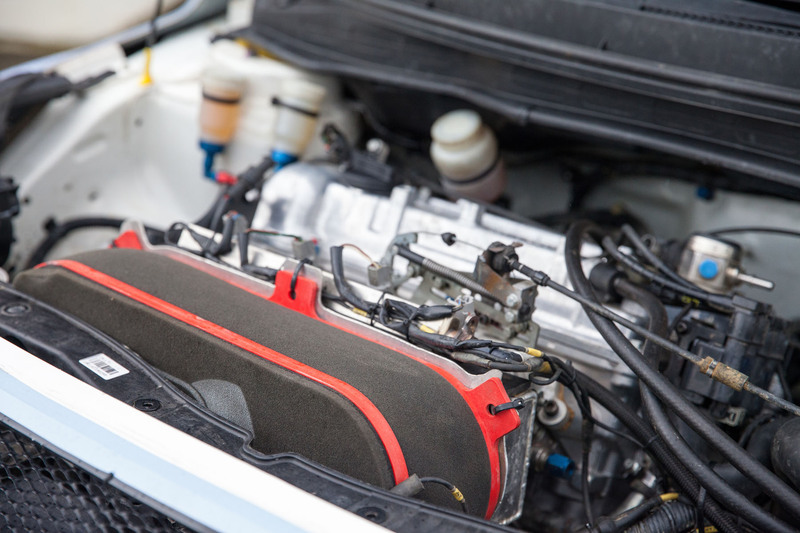 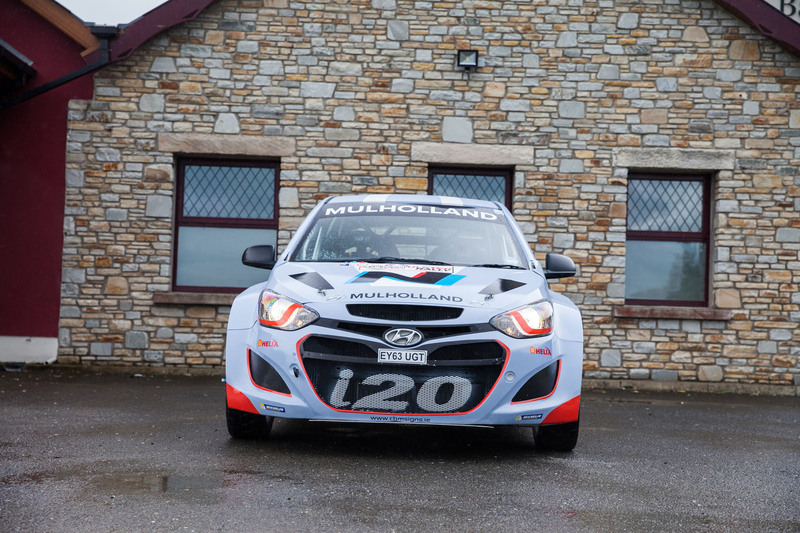 At this point, the i20 was still fitted with its original 1.2 litre engine…so a top speed of 67mph maybe shouldn’t have been so surprising! 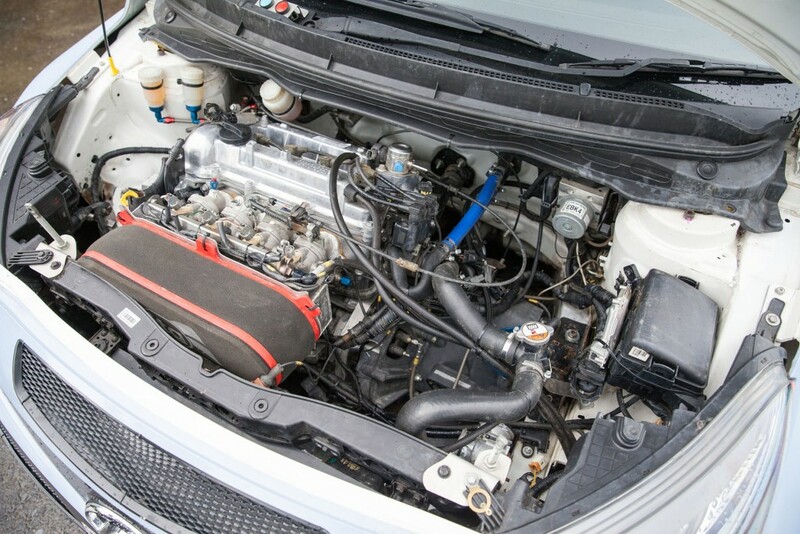 They managed to finish the event but more power was essential. 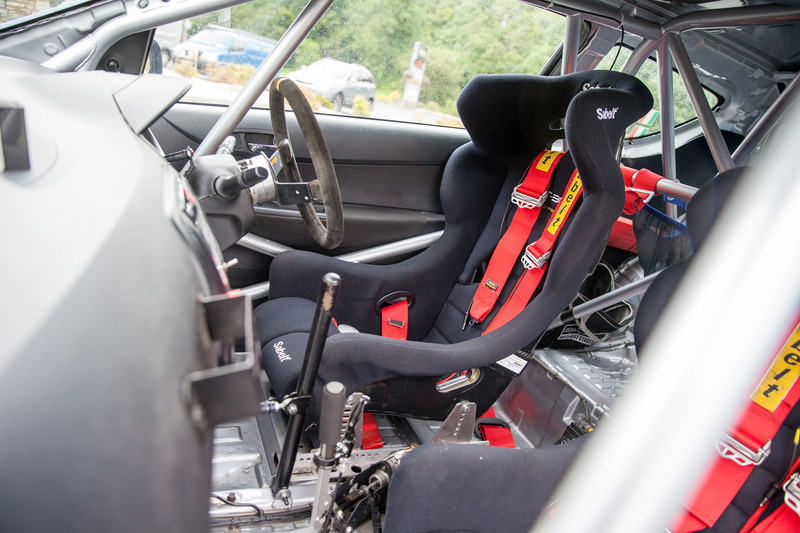 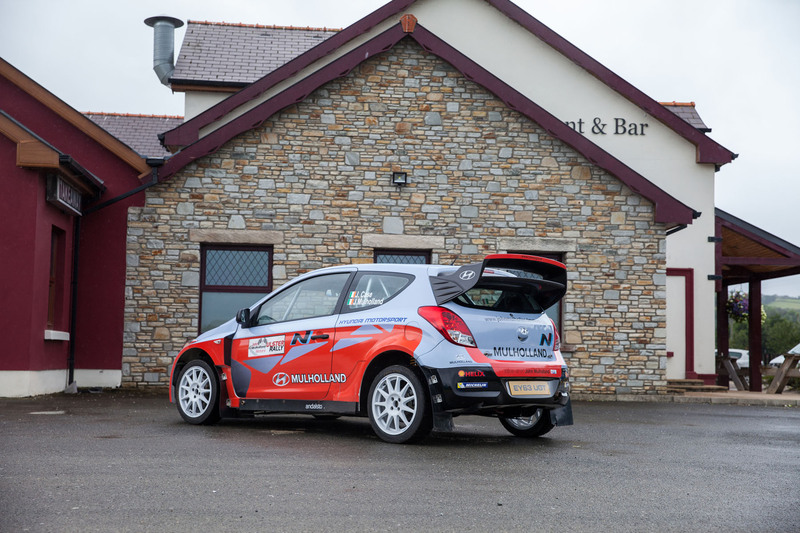 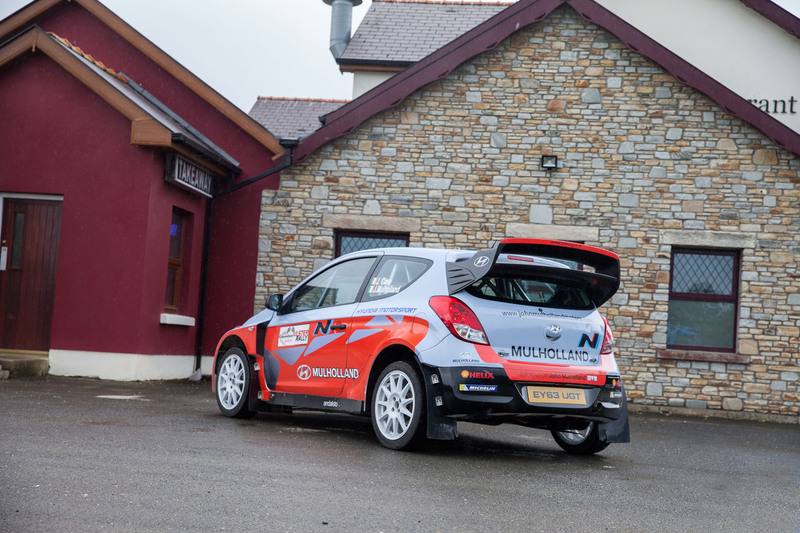 Before another test outing at the Cambrian Stages, the problems with the 1.6 litre were ironed out and the car received its much needed upgrade. 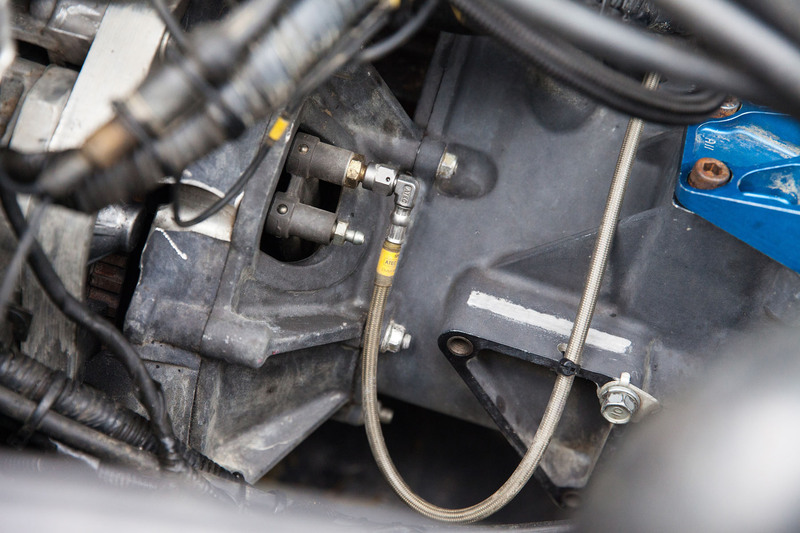 A failing clutch pack inside the alternator forced retirement at the Cambrian but this gave the team an opportunity to ‘beef it up’ before the main event. 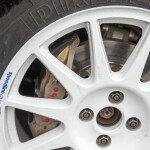 They also fitted a new crown wheel and pinion to help lengthen the gearing, making the car more drive-able. 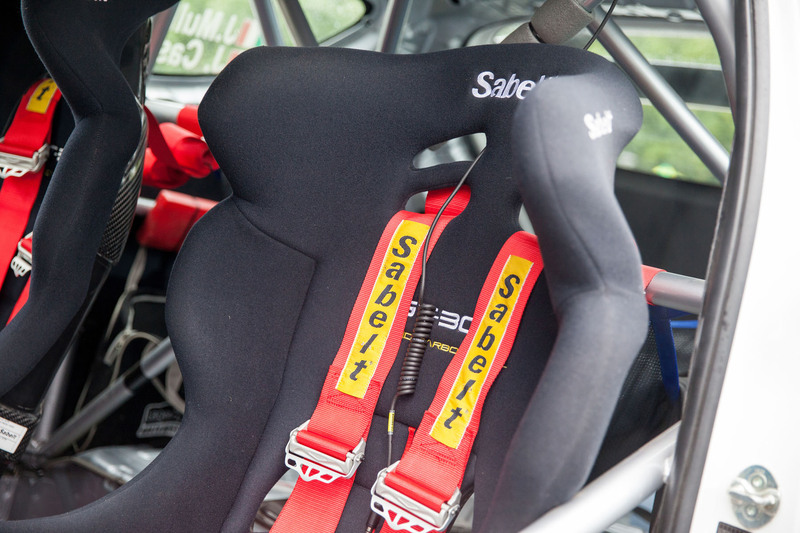 After a test session in Sweet Lamb, everything was in place for the ultimate test. 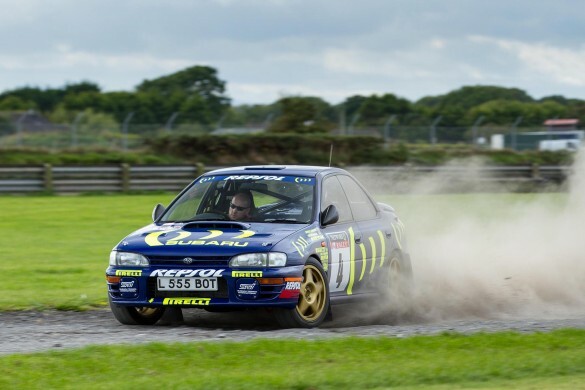 Then it was off to Wales Rally GB and after three days of tough competition that included a trip into a ditch, a lost sump guard and a damaged exhaust, the crew’s steady approach netted them 42nd overall and first in class in the National Rally! 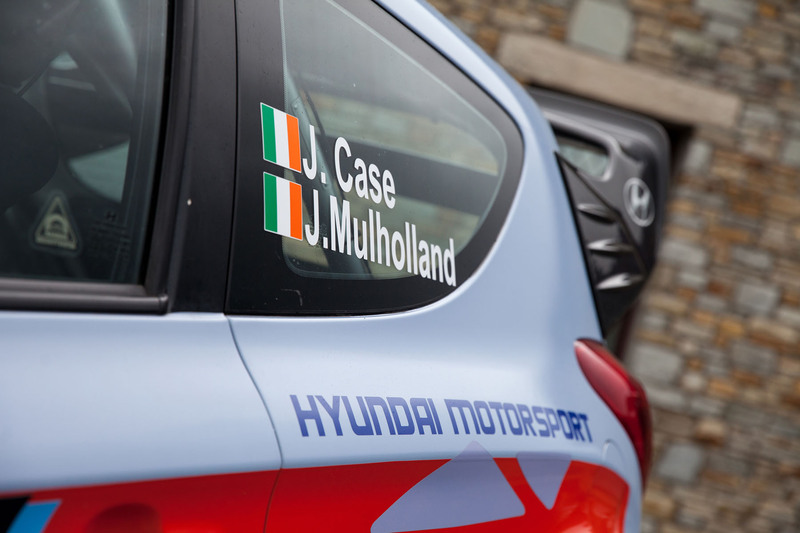 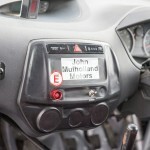 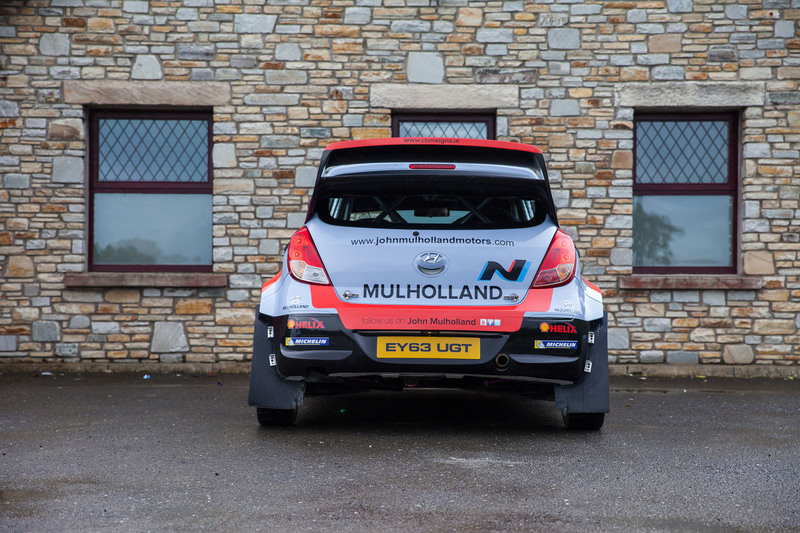 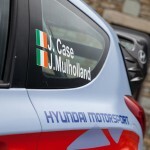 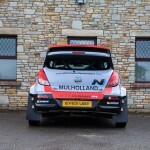 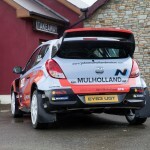 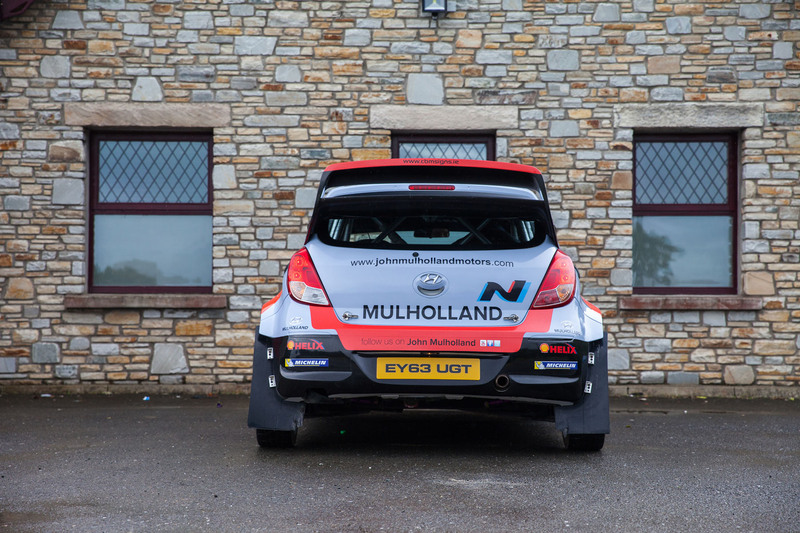 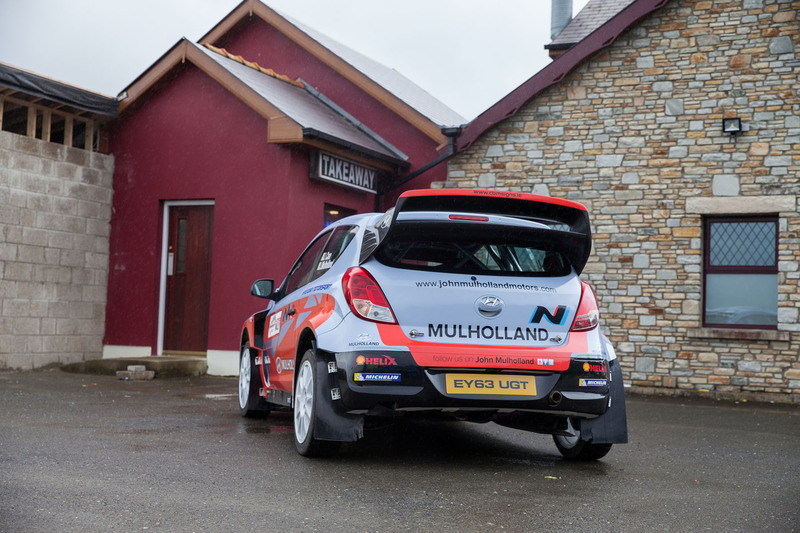 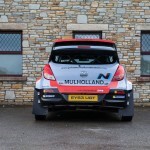 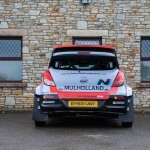 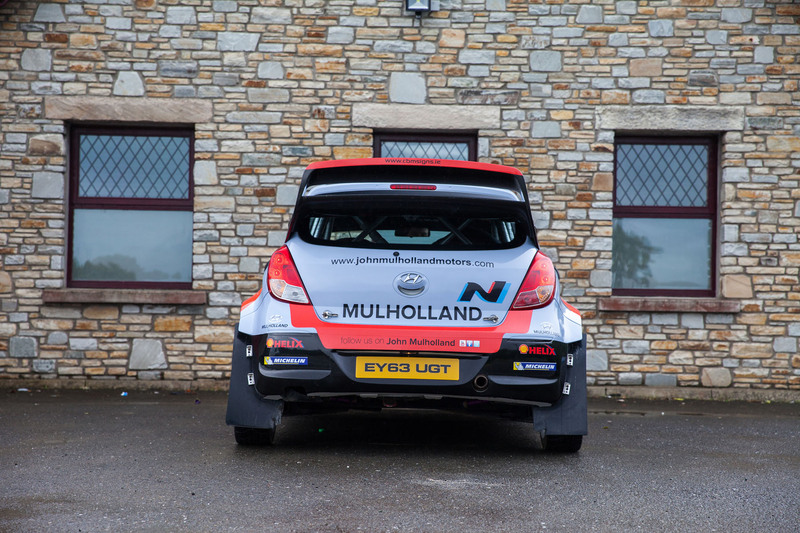 It was at that 2014 event that John Mulholland and his son, Johnnie, first laid eyes on the car. 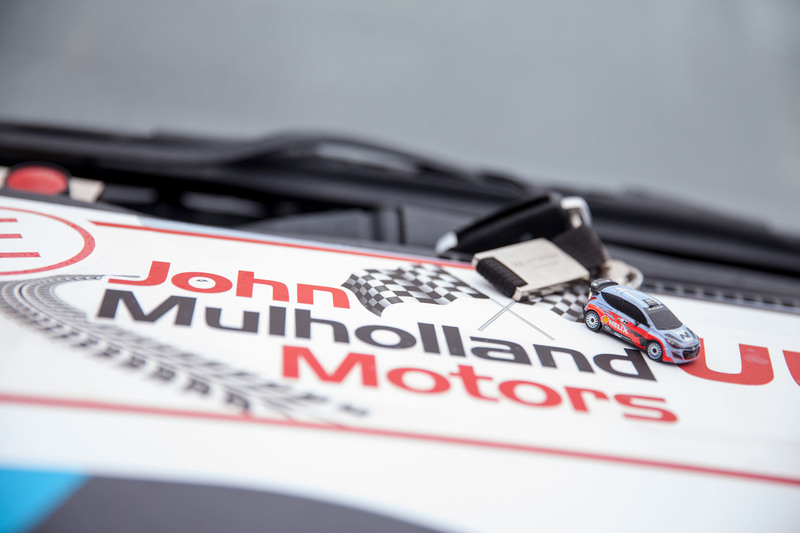 John, who started his John Mulholland Motors dealership almost 30 years ago and has franchises for Hyundai, Ford and Skoda, was intrigued. 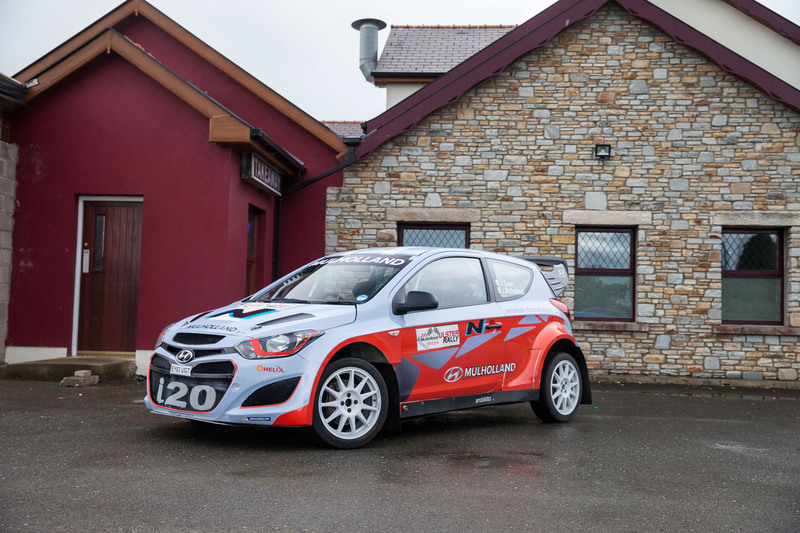 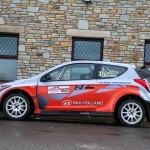 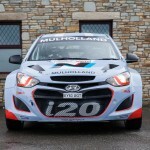 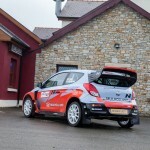 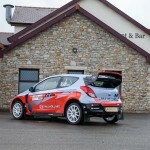 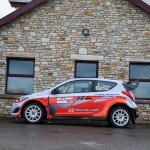 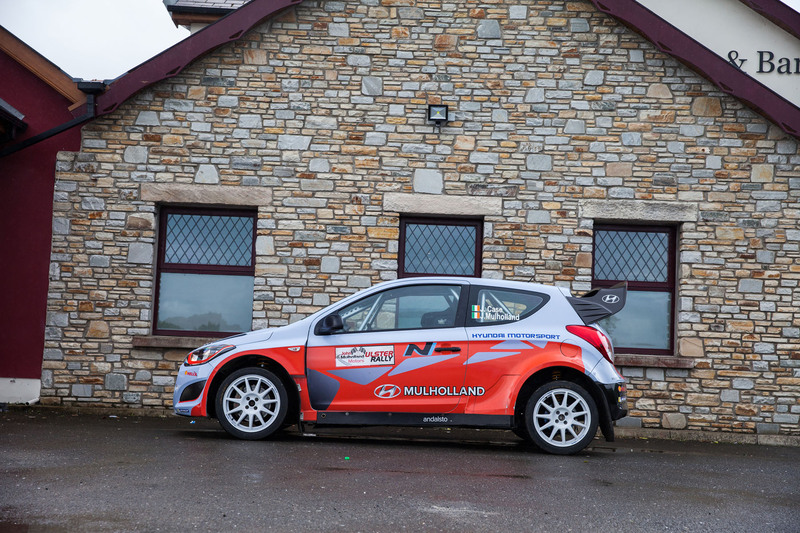 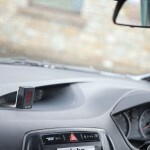 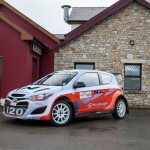 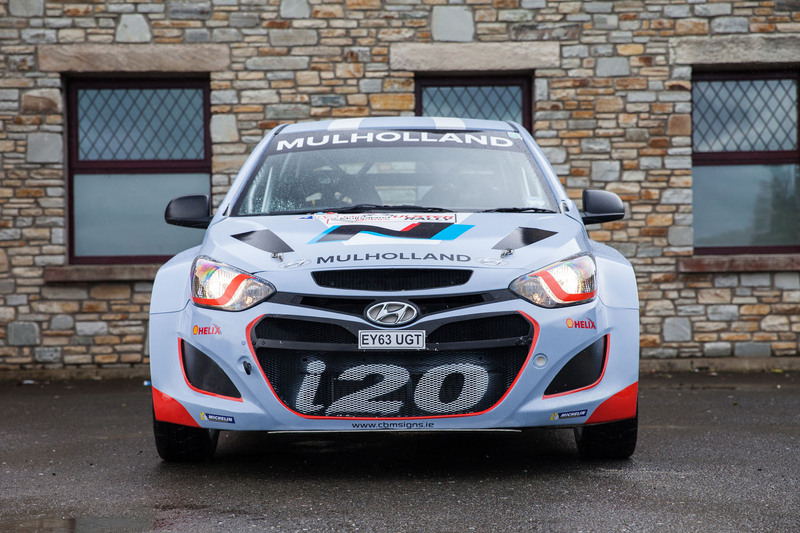 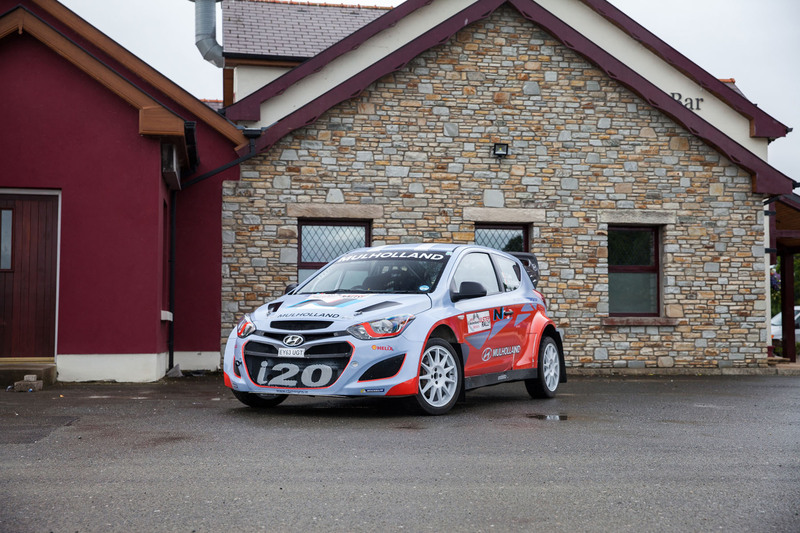 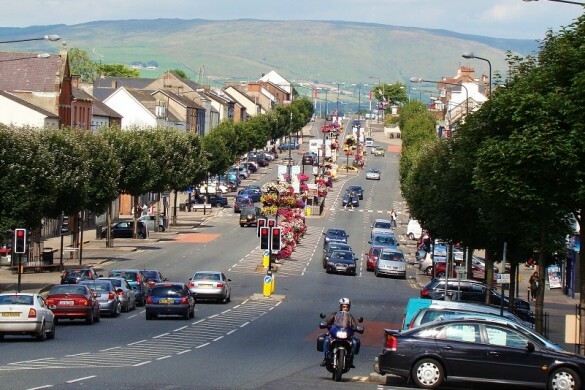 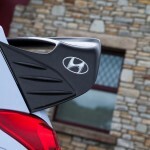 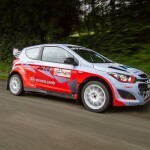 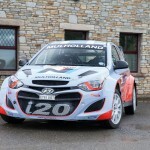 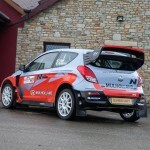 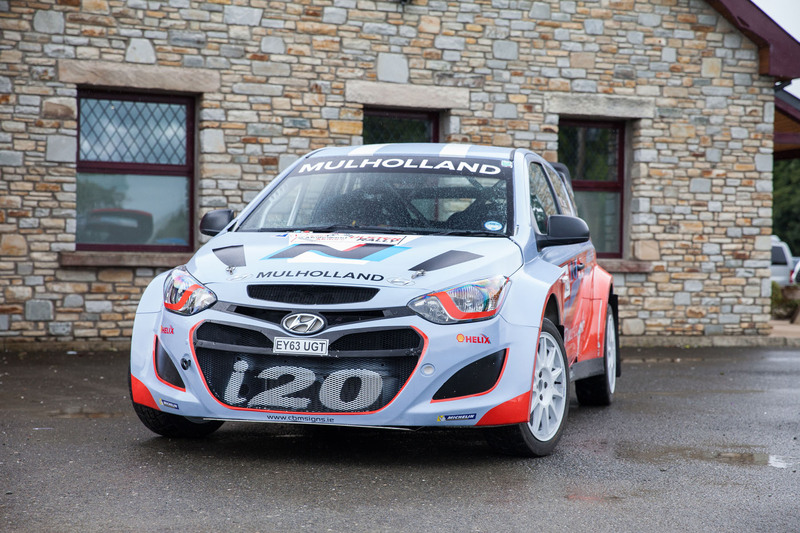 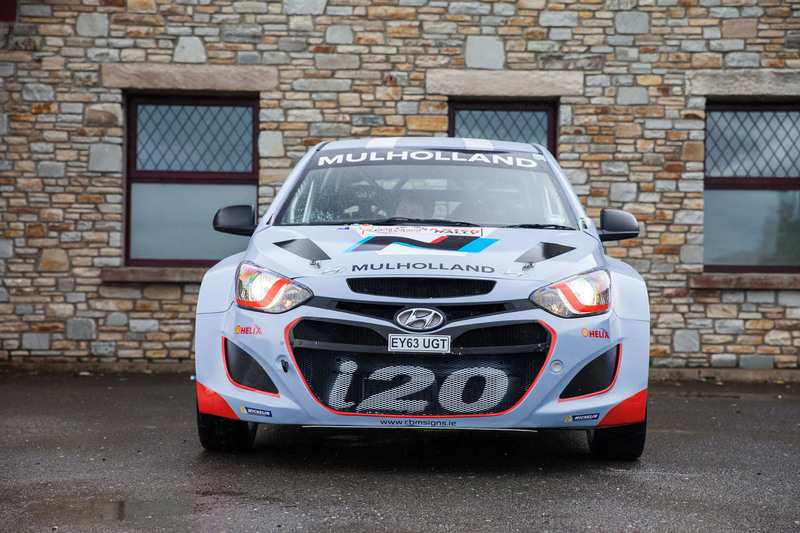 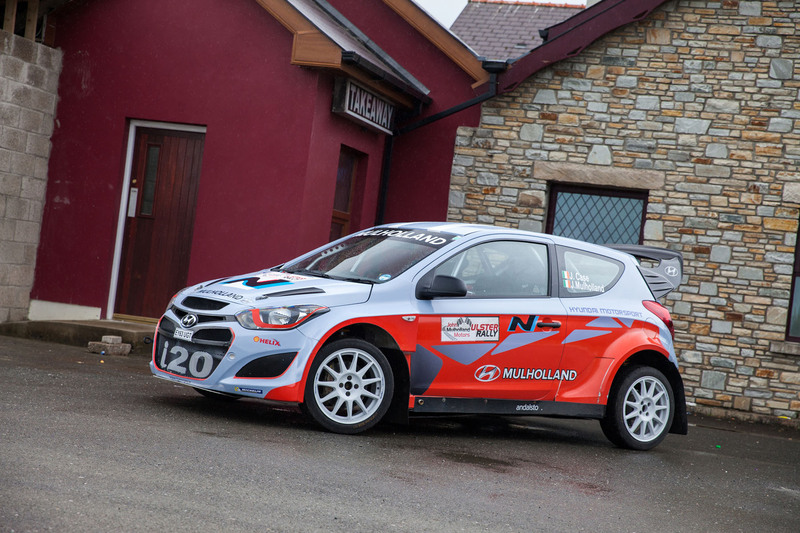 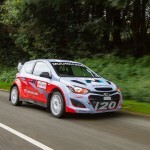 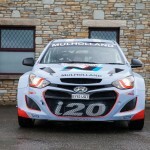 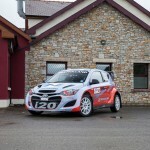 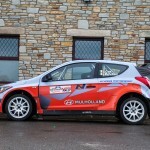 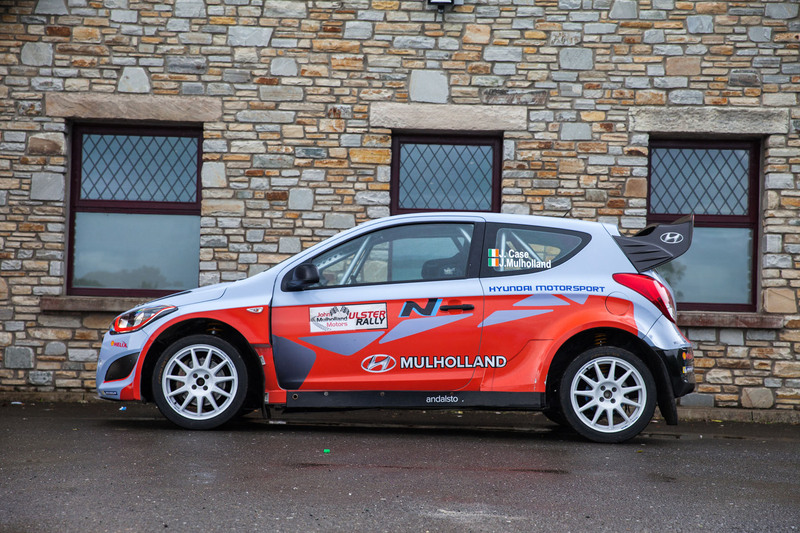 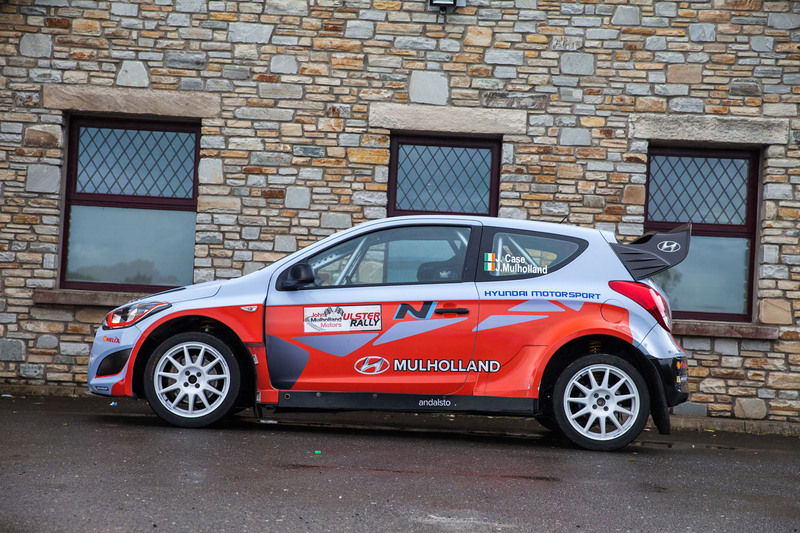 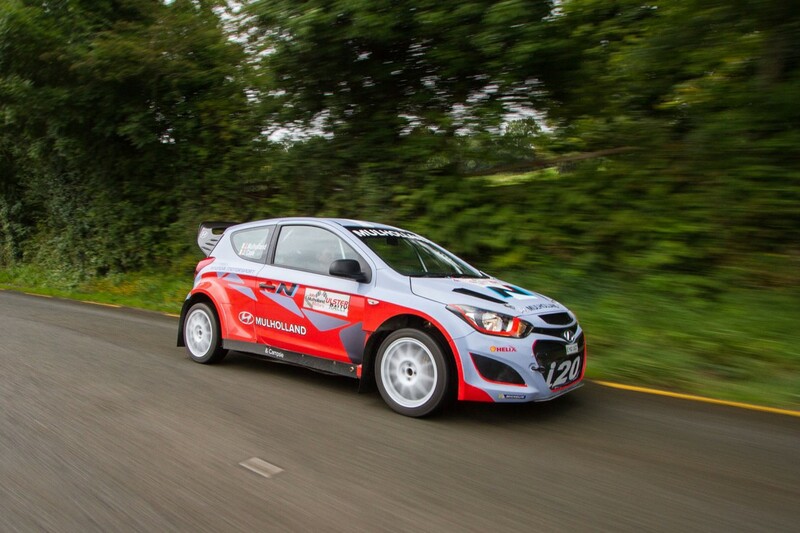 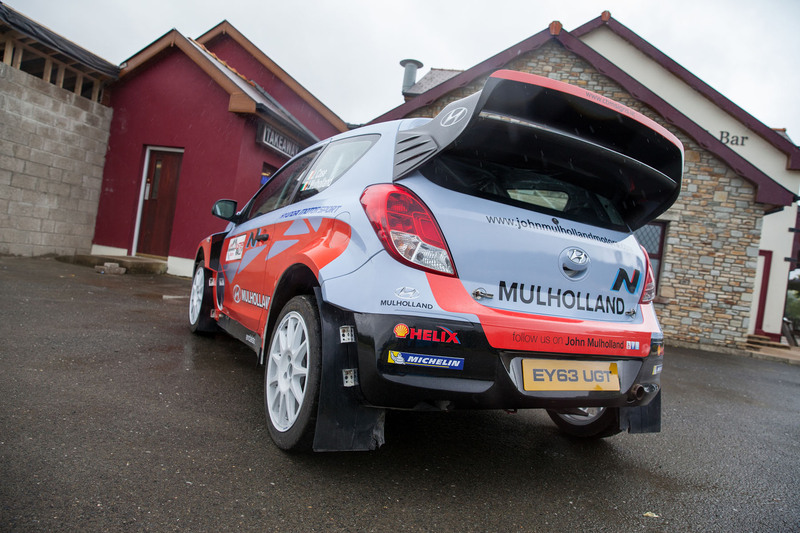 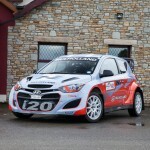 Fast-forward 18 months later and the i20 now resides in Northern Ireland after John purchased it direct from Hyundai. 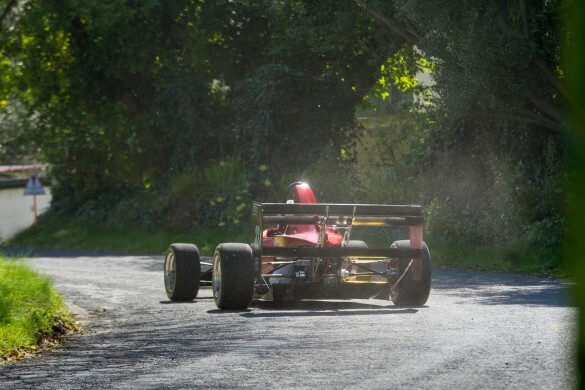 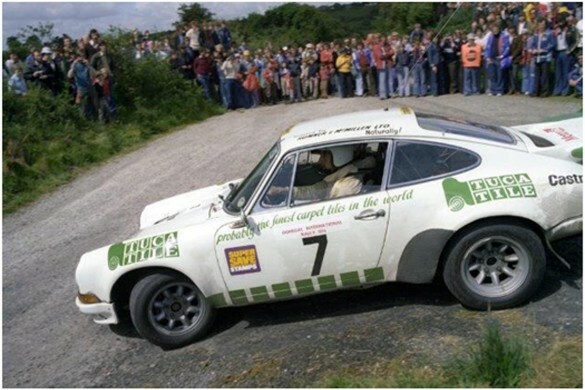 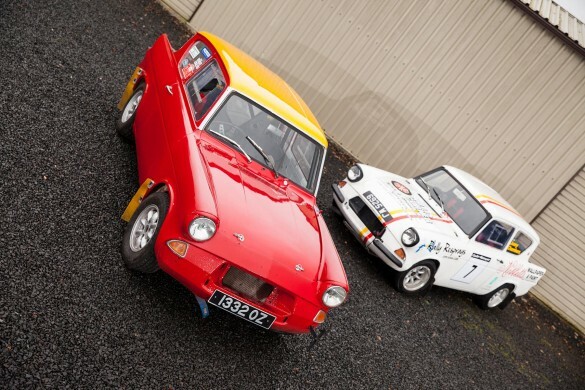 John’s son, Johnnie, made his rally debut in the car at August’s Dogleap Stages. 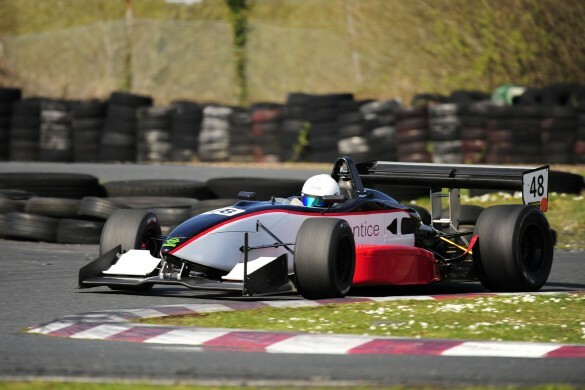 He is no stranger to competition, having worked his way through the racing ranks from karting to Ginetta Juniors and Formula Fords. 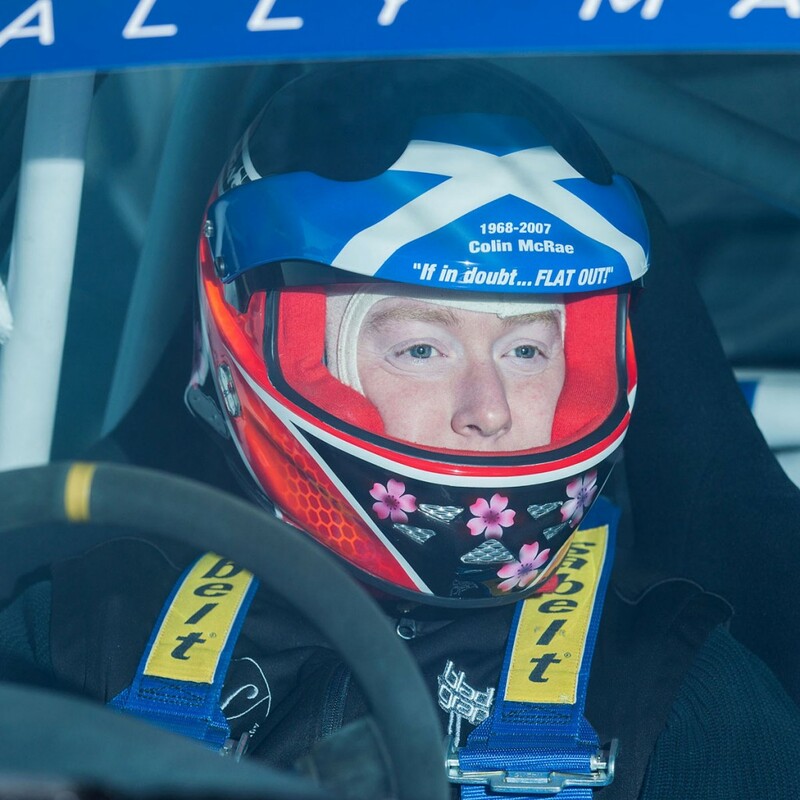 In fact, at just 18 years of age, he already has seven years of racing experience behind him but now he is turning his attention to a different discipline. 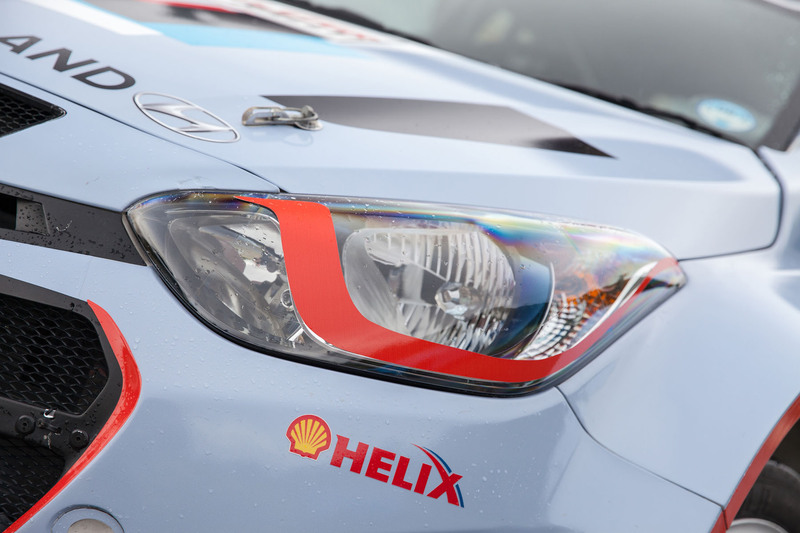 With Jeff Case navigating, he finished a very creditable 36th overall in an event that had 80 starters. 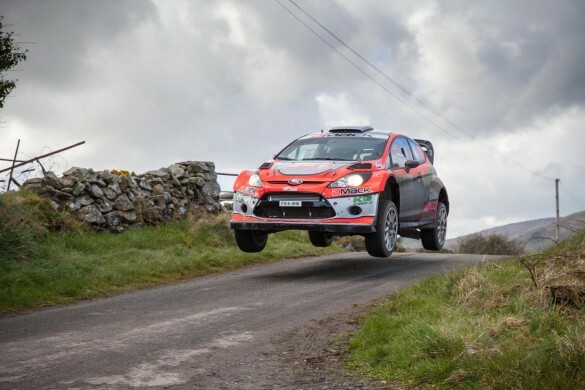 Not a bad start for a rally newbie! 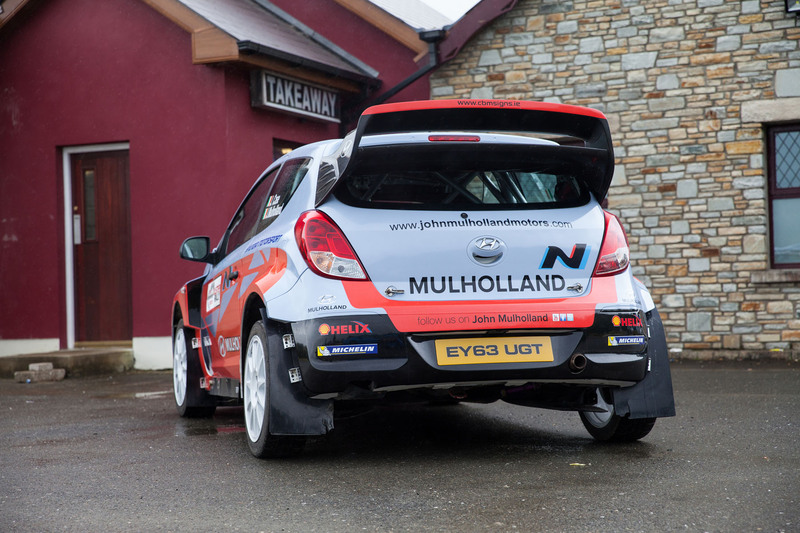 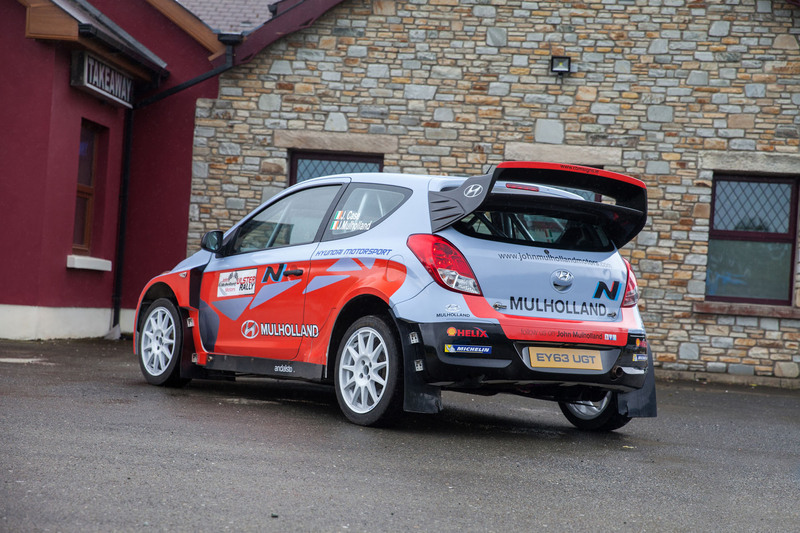 Johnnie doesn’t plan on entering any major tarmac rallies but he hopes to take his new mount on gravel before the end of the year. 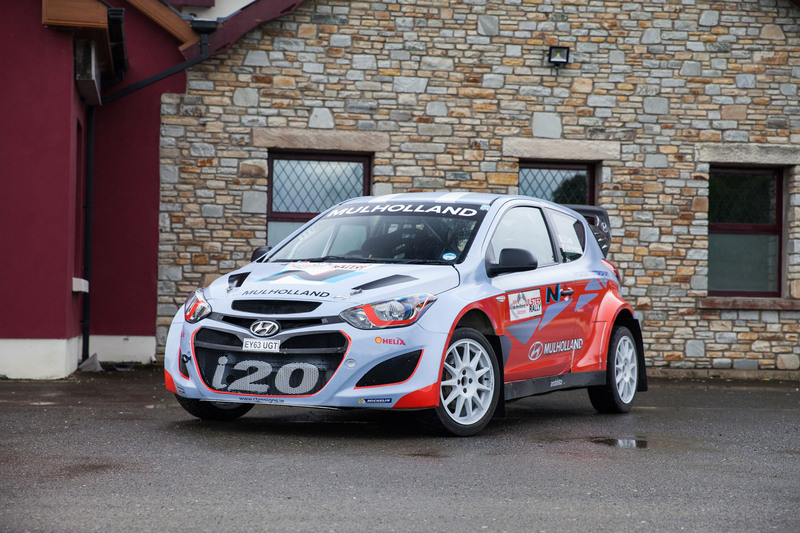 So this specially commissioned, one of a kind Hyundai i20 really is the only car of its type…in the world. It has given Johnnie his first taste of stage rallying and perhaps it’s only a matter of time before we see him jump behind the wheel of his father’s S2000 Skoda? 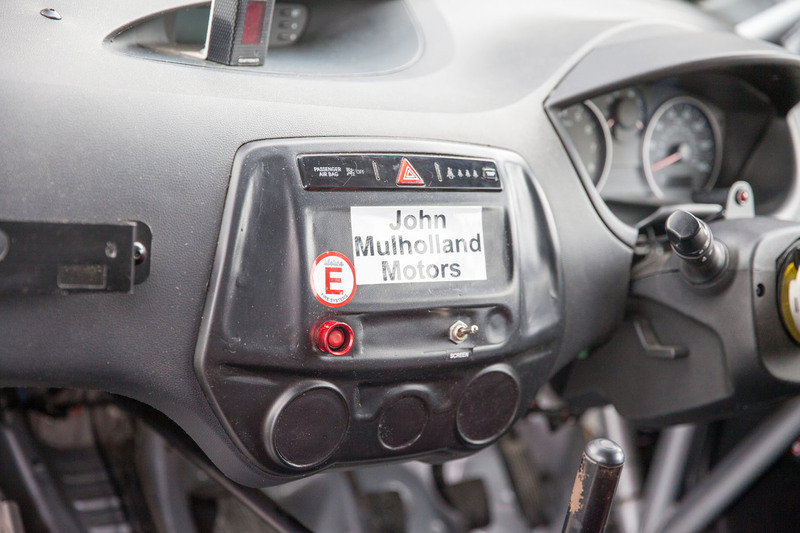 That has to be good news for Johnnie. 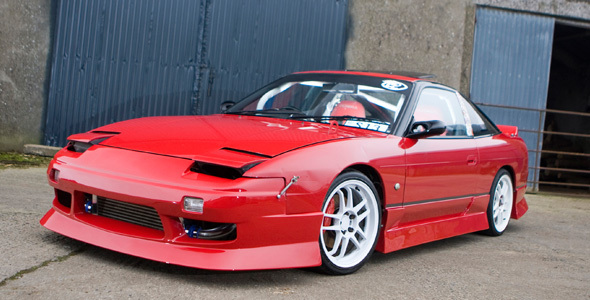 After all, his dad didn’t say no!